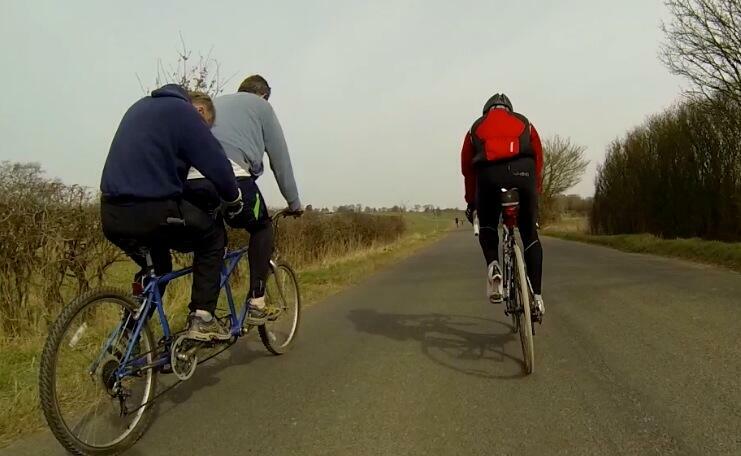 These two chaps that we spotted near Wing last week were riding a very interesting tandem – it had mountain bike tyres ! Well done lads. Quiz Night this Sunday evening at the Grand Junction Arms in Bulbourne. Shorts & Tee-shirts at last ? Our thanks this week goes out to Jayne for sending in a suggested route to Dunstable and back. We always enjoy riding new routes so please feel free to send them in via the contact form on the website. While not scorchio, the forecast is for warm weather so time to breakout the shorts (and rain jacket as there is still a 10% chance of rain). The main group this week will be sticking to a 13 mph average. As always, we meet at 9:50am outside the Rose & Crown.